Like few times in our history, brands and businesses are facing a profound moment of challenge and change. Trust has never been lower. Expectations have never been higher. And in our new political and cultural reality, there’s no middle ground and there’s no place to hide. At BBMG, we believe the only way for brands to remain relevant and resilient is to put humanity first. Based on our global research into Aspirational and Advocate consumers, we’ve identified two paths for using the power of brand to fight injustice and create the good life. If you’re ready to authentically inspire fans, mobilize champions and win in this new era, it’s no time for fear. It’s time to be brave. The truth is, people believe brands can make a difference. Sixty percent of consumers globally say brands have a significant impact on creating “the good life.”* Brands give us something to rally around. 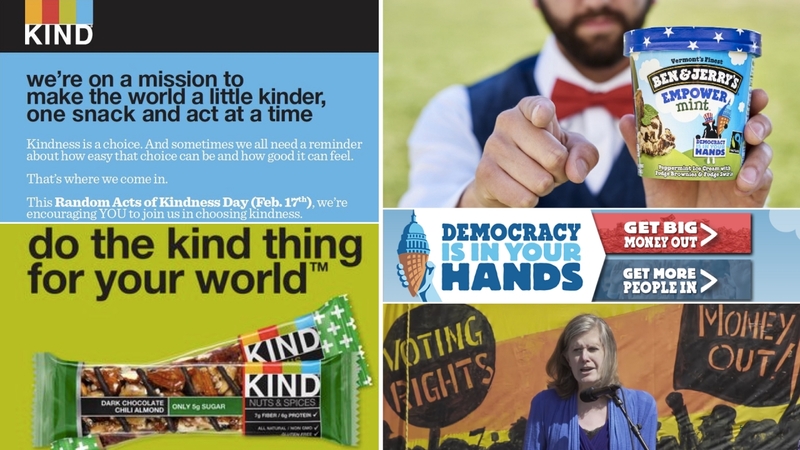 Brands can be a badge for the values we hold dear. Because they combine business systems and cultural stories, brands can be a powerful tool to attract positive attention where it’s needed most. If you work for a brand, you have an amazing weapon for fighting injustice and creating a more just, sustainable and healthy world for humanity. But like any weapon, we must be mindful how we wield it. It’s all too easy to get swept up in the zeitgeist and speak out in a way that does more harm than good, or that comes off as inauthentic and opportunistic. Every brand must find its own path if it wants to connect with humanity in an authentic and meaningful way. It starts with considering whether your brand is an aspirational brand—one that unites style, social status and sustainable values to create a seamless brand experience—or an advocate brand—one that uses its megaphone to fight loud and proud against social, economic and environmental injustices. So which approach is right for your brand? BBMG has been tracking the Aspirational and Advocate psychographics for several years, and through that and our work with purpose-driven brands, we’ve identified five principles for each brand pathway. What are we asking people to do? For aspirational brands, the positive impact is built right into the product or service. The brand creates good jobs without harming people or planet, it produces more experience with less waste, it gives back to society every time you buy a bag or a pair of shoes. When you buy an aspirational brand, you do some good. For advocate brands, the ask goes beyond the brand or the product. 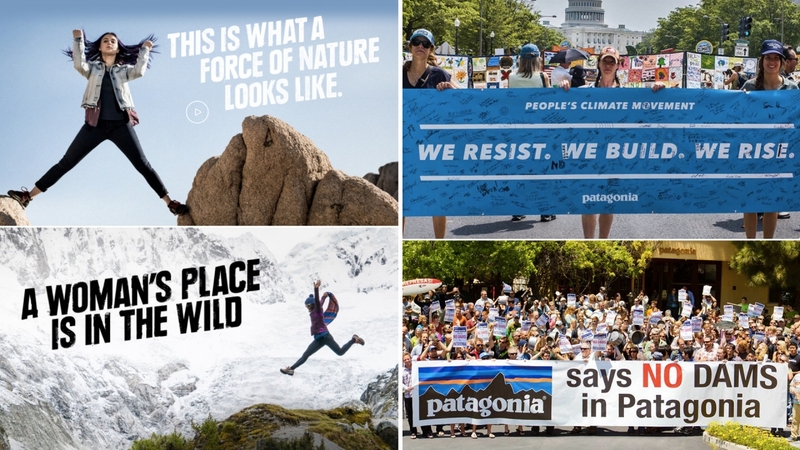 Advocate brands are asking citizens to join them in a fight to impact positive change through activism and support of a cause that’s true to the brand’s mission. A strong brand can be a badge that reflects the shared values of the company and its customers and fans. The company’s values will inform what cause the brand supports, but the tone of that stance will depend on which audience the brand wants to engage. Aspirationals are more likely to respond to an invitation to stand for something positive, to embody the change they want to see in the world. Advocates are going to identify with brands that are fighting against the problems, injustices, inequalities—issues that motivate them and inform their purchase decisions. An aspirational brand will use its influence to champion ideals for a brighter future. A world where humanity shares equal rights, where all children thrive, where kindness rules. Advocate brands choose to take a tougher, more urgent stance, speaking out against the ills and injustices happening in the here and now. 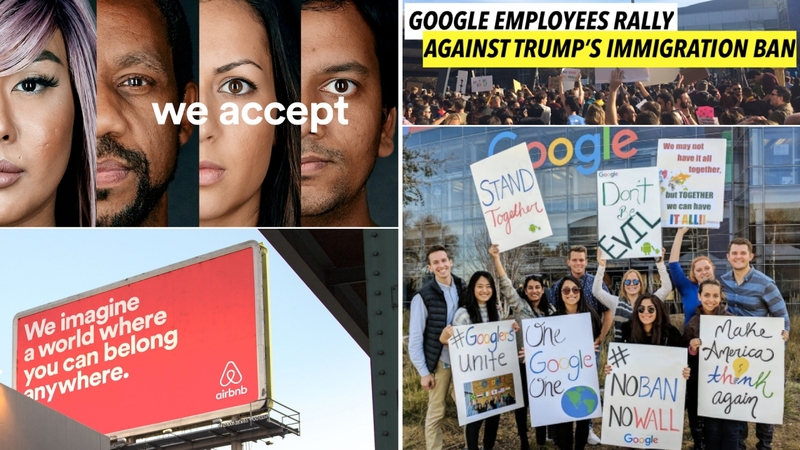 Advocating for immediate action might be the right move if there’s a societal or environmental threat that relates to the brand’s business interest, like members of Google’s workforce being threatened by the immigrant ban or Patagonia fighting to protect the natural places where its customers like to hike and play. Not every path to positive social change has to include a march through the streets. Sometimes it’s those every day actions—mindful purchases, small acts of kindness—that add up to massive cultural shifts towards the good life. Aspirational brands invite consumers to vote with their wallets and impact change through conscious consumption and thoughtful living. Other times there may be a policy change that aligns with the brand’s mission but for which purchasing a product has no immediate connection. In those times an advocate brand may use its megaphone and its incredible reach to rally fans to sign petitions, call legislators, and spread important information that impacts public policy. Finally, even if a brand is good for people and planet, that might not be the best opening line to attract customers. Imagine if you went on a first date and immediately started bragging about what a great companion you are, how you are awesome in bed and a great cook too! That may all be true, but a subtler approach may be more attractive. Aspirational brands lead with the style and desirability of their brand and their products and let their sustainability and social substance be the factors that create loyalty. 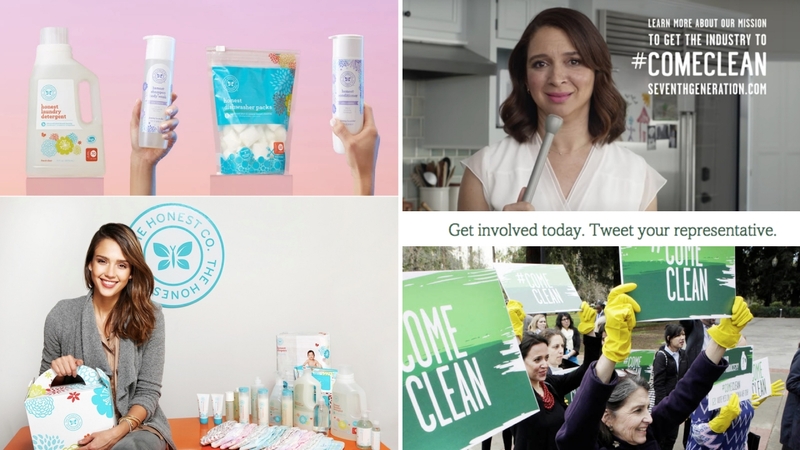 For some brands, however, sustainability may be the headline that sets the brand apart from the rest of the pack and shines like a beacon to advocate consumers desperate for a do-good alternative to the mainstream competitors. Brands, the time is now for you to step up and create positive change in the world. Those who don’t, risk being left behind. But, before you go rogue, carefully consider whether aspiration or advocacy is the path for your brand to authentically honor and advance our collective humanity. Our global challenges are complex and in need of diverse movements to create sustainable change and build a more equitable world. To read more about BBMG and GlobeScan’s research on Aspirationals and Advocates, download our report here. 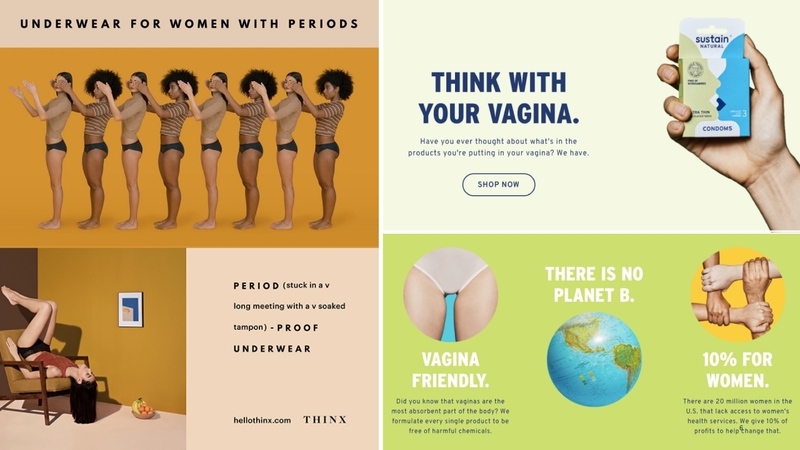 Image credit The Honest Company, Seventh Generation, REI, Patagonia, Airbnb, KIND Snacks, Ben and Jerry’s, Thinx, Sustain and Google images from Moriah Maranitch on Instagram and KnowStartup.